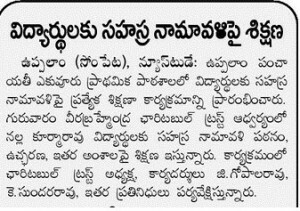 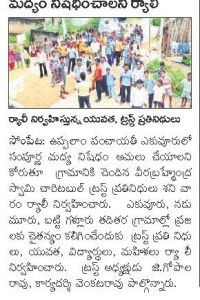 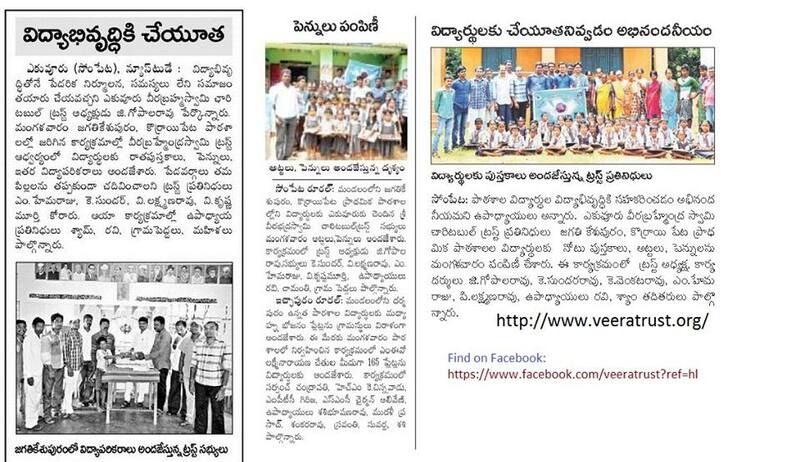 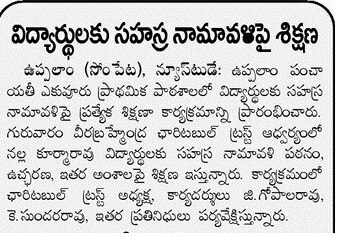 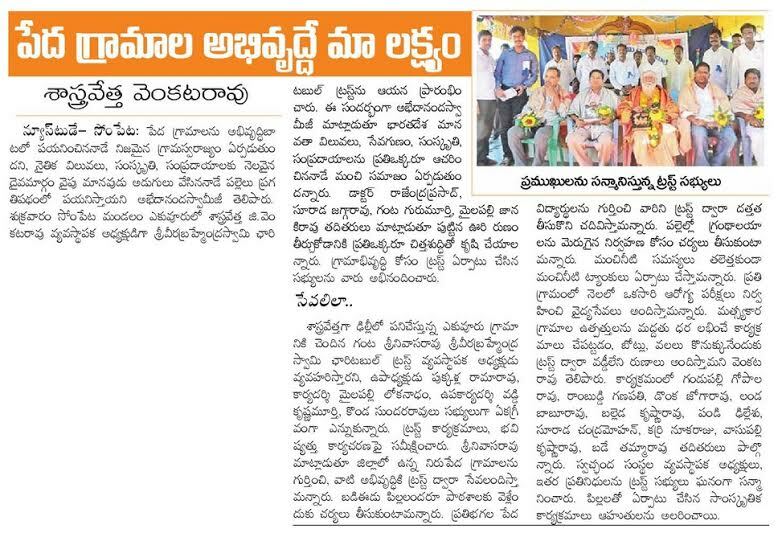 Vishnu Sahasranama classes to Primary school students by Nalla Kurmararao garu. 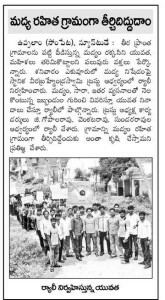 Arranged by SVBC Trust. 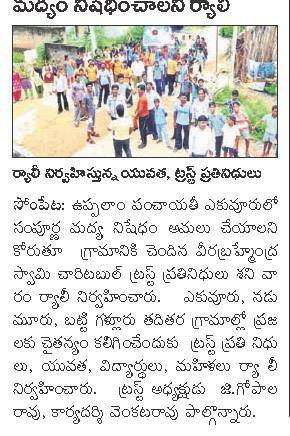 Madyapaana Nishedam Movement (MNM) has conducted by Veera trust ( August-16th,2014). 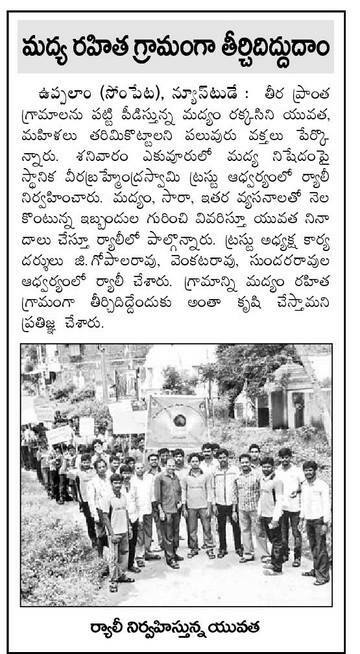 Swachh Bharat Mission by Veeratrust.